Are you looking to sharpen your cutting tools? Or are you looking to shape metals prior to fitting or welding? In that case, you are most likely in the market for a bench grinder. It is a standard piece of equipment in most home workshops. However, purchasing one is not an easy decisions. 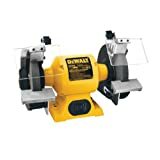 You will want to purchase a bench grinder that will last you a lifetime therefore it is important to research the alternatives in order to make an educated purchase. 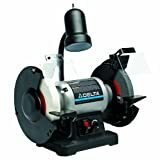 There are many factors to consider when purchasing a bench grinder. What will you be using it for? 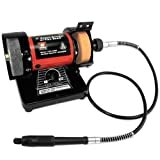 This tool has many applications as it can be used to sharpen existing cutting tools, balance your mower blades, modifying parts that need to be resized or even refurbishing old rusted parts. Some grinders work better than others for certain applications. 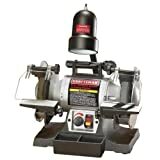 The main component of the bench grinder is the grinding wheel. Different grinding wheels are used for different tasks. 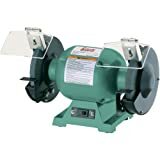 Therefore it is imperative that you make sure that the grinder you purchase has the ability to equip the correct wheel for your use. Coarse grinding wheels, fine grit grinding wheels, buffing wheels and wire brush wheels are just some of the different kinds of wheels that are typically used. 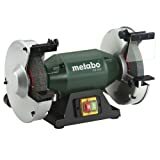 Additionally, the size of the motor and wheel measurement are factors you want to consider before purchasing a grinder. The larger the motor, the more grinding power you will have. For tough and large metals, you will notice increased performance with the larger motor. The wheel measurement for home workshop use can range from 3 inches (mini-grinders) to 8 inches. 6 to 8 inches is the preferred size for the majority of tasks. 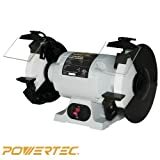 While browsing this website, you will find articles reviewing the best bench grinders currently available on the market. 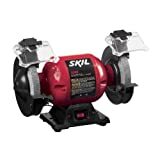 The grinders are reviewed by industry experts based on the considerations noted above. The grinders will be reviewed based on motor size, wheel measurement, features and cost. If there is a certain grinder you are interested in, please send us an email and we will get back to you with our thoughts.